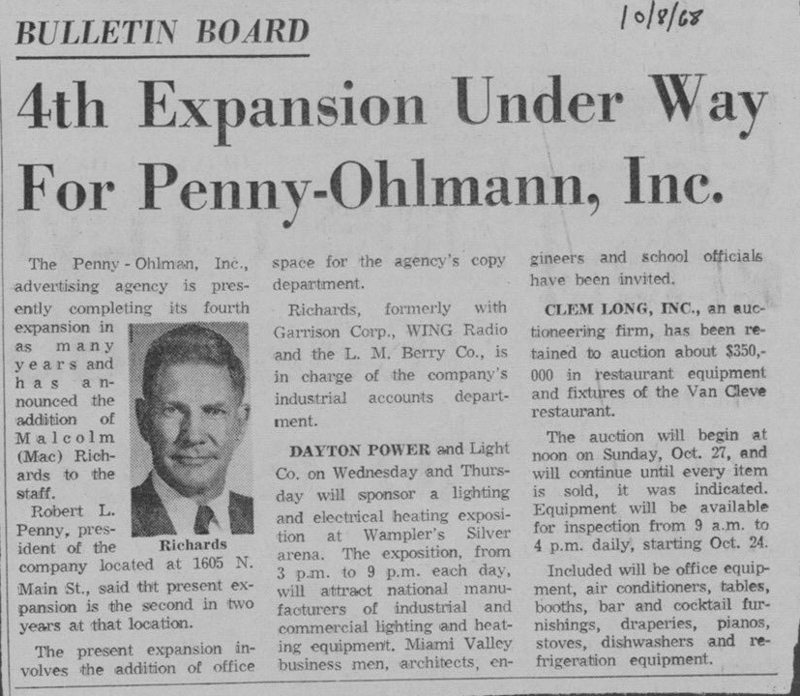 4th Expansion under way for Penny-Ohlmann, Inc.
Robert L. Penny, president of the company located at 1605 N. Main St., said that present expansion is the second in two years at that location. 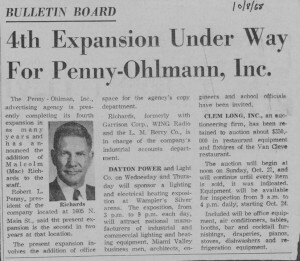 The present expansion, involves the addition of office space for the agency’s copy department. Richards, formerly with Garrison Corp., WING radio and the L. M Berry Co., is in charge of the company’s industrial accounts department.